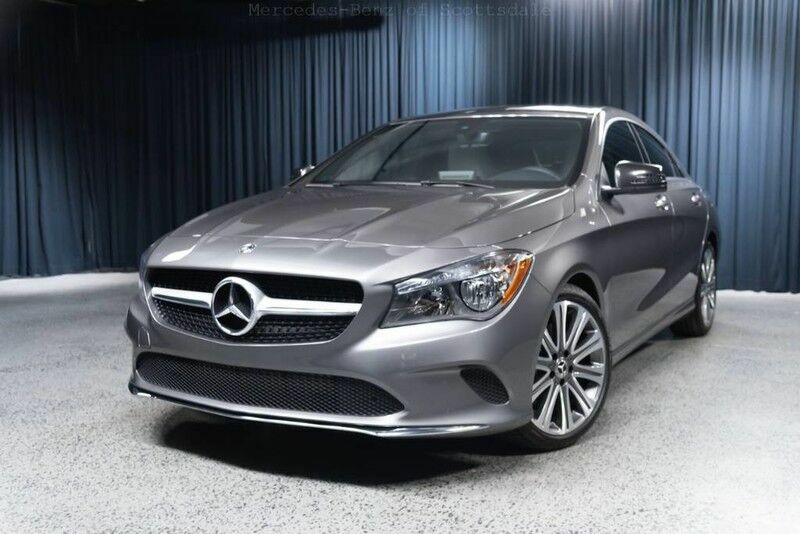 This 2019 Mercedes-Benz CLA CLA 250 is offered to you for sale by Mercedes-Benz of Scottsdale. This Mercedes-Benz includes: SMARTPHONE INTEGRATION Smart Device Integration MOUNTAIN GREY METALLIC BLIND SPOT ASSIST Blind Spot Monitor HEATED FRONT SEATS Heated Front Seat(s) CRYSTAL GREY, MB-TEX LEATHERETTE SEAT TRIM Premium Synthetic Seats *Note - For third party subscriptions or services, please contact the dealer for more information. * The Mercedes-Benz CLA CLA 250 will provide you with everything you have always wanted in a car -- Quality, Reliability, and Character. Based on the superb condition of this vehicle, along with the options and color, this Mercedes-Benz CLA CLA 250 is sure to sell fast. You can finally stop searching... You've found the one you've been looking for. Contact Mercedes-Benz of Scottsdale today for information on dozens of vehicles like this 2019 Mercedes-Benz CLA CLA 250. Based on the superb condition of this vehicle, along with the options and color, this Mercedes-Benz CLA CLA 250 is sure to sell fast. You've found the one you've been looking for. Your dream car. You could keep looking, but why? You've found the perfect vehicle right here. The Mercedes-Benz CLA CLA 250 will provide you with everything you have always wanted in a car -- Quality, Reliability, and Character.